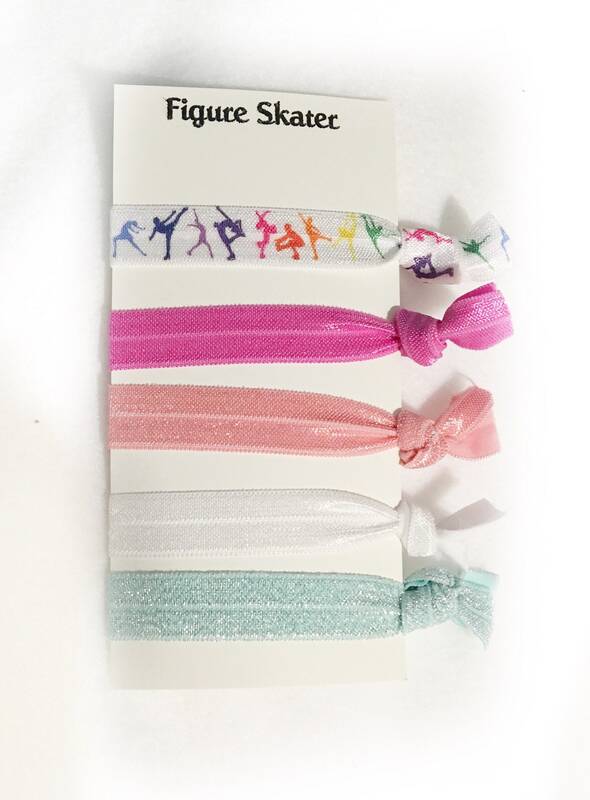 It can be really hard to find unique and cool things for your Figure skater's birthday party (or other special event). Figure skating isn't at the top of the sports and yet we know most skaters live and breath for their skating. So why wouldn't they want their special party to reflect that? 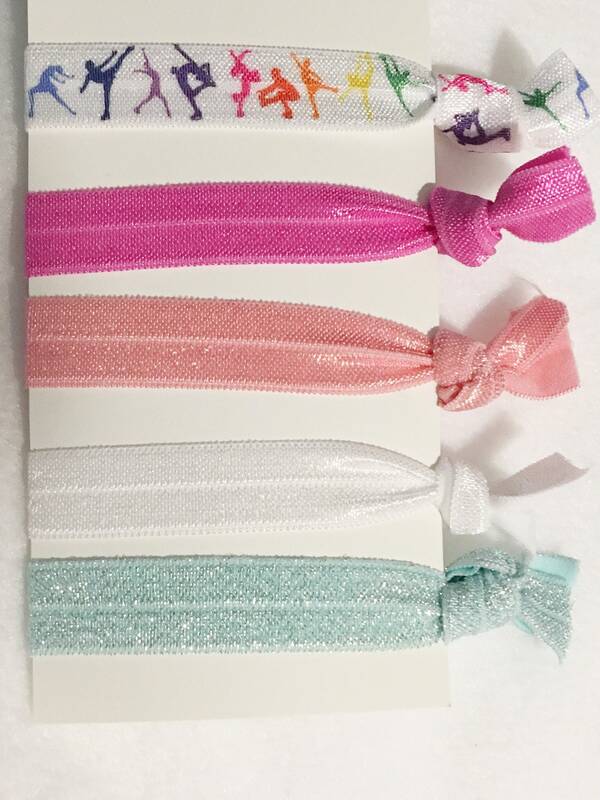 These cute hair ties are perfect! If you’d like them for a party I can customize the card. 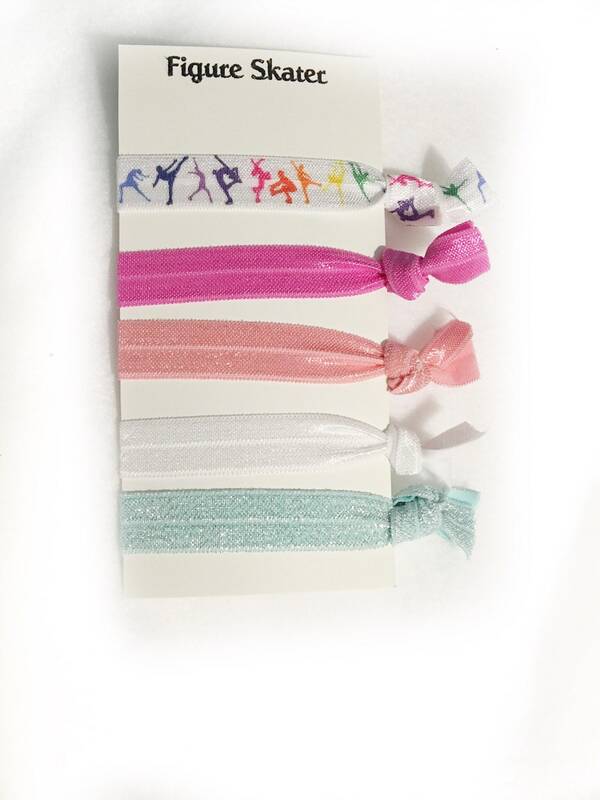 These are great for any party bag or alone as a gift! 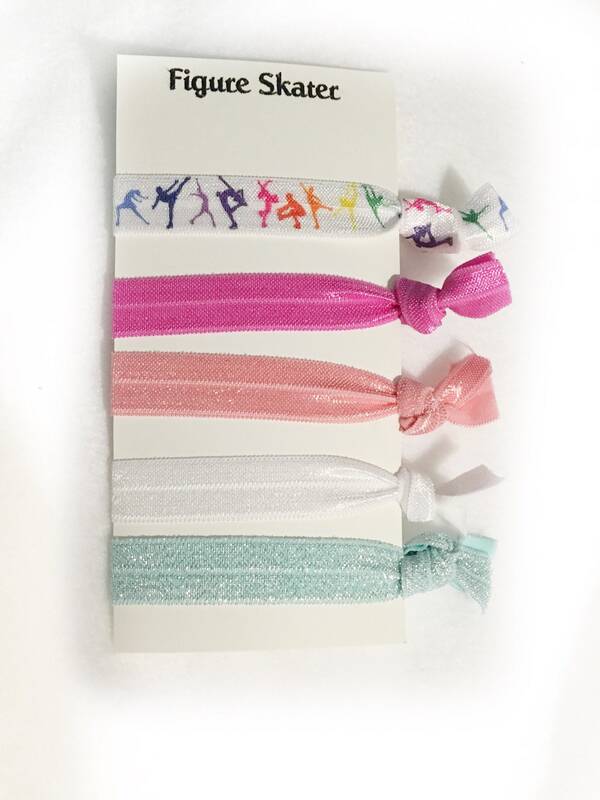 And what skater doesn't need hair ties in her bag? I know I need a bunch! Please convo me for more than 10 and I will adjust the shipping. I’m adding new colors so if you have the time to wait and have a certain color, please message me.